Interactive rendering of a large, dense environment can be accelerated by keeping track of the visible objects. We introduce a framework for maintaining the visible set that provides perfect occluder fusion while taking advantage of temporal coherence in the observer's position. The method is based on maintaining a visible zone, a spatial decomposition that supports fast visibility queries and efficient updates. We discuss visible zone maintenance in 2 and 2.5 dimensions, and present extensions to maintain conservative visibility for complex geometry. 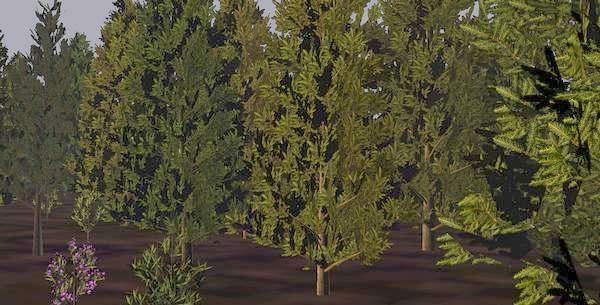 We present results from an interactive flythrough of a forest environment with one million trees and seven billion polygons. Full paper as PDF, 8 pages, 2613107 bytes.